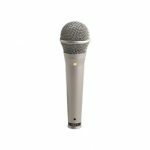 Today more and more people from all walks of life, whether they are academic researchers doing interviews or professional musicians, use condenser microphones more than dynamic microphones. Both these microphones differ from each other in several ways. 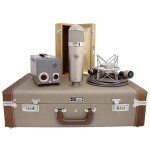 However for some reason, condenser microphones have gained popularity. Here we take a sneak preview at two of them – Studio Projects B1 Vocal Condenser and MXL-990 Condenser – and how they stack up against each other. 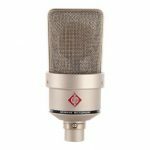 The Studio Projects B1 is a microphone that is quite large in size in a pressure-gradient transducer with top quality transformer-less design and exceptionally low noise. It is ideal for capturing strong high-frequency blasting instruments such as cymbals in recording applications. It can also be used in open-air outdoor situations, for voice over work, for close-miking amplifiers and for production and broadcast. The active output enables longer cable runs without any signal interruption. 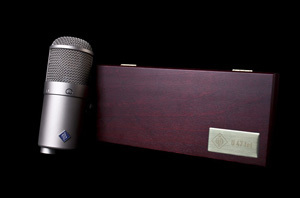 Studio Project’s shock mount system comes with a method that ensures the microphone is protected even when upturned. It comes with a zippered pouch and windscreen foam. The cardboard box that it is freighted in protects the microphone. Power requirement: 48 +/- 4V. 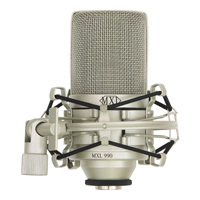 The MXL 990 Condenser Microphone, the industry’s groundbreakingmicrophone,comes with its custom shock mount, microphone stand adapter, and case. 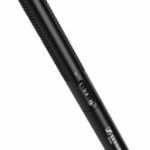 This revolutionary condenser microphone is said to be the first top quality condenser microphone to have reached out to working musicians. Its FET preamp and huge diaphragm enables professional sound quality in both analog and digital recordings. 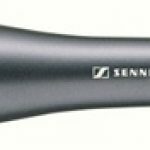 Dynamic microphones may have taken a back seat with the proliferation of different models of Condenser Microphones. 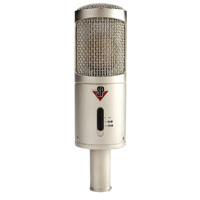 But the attention grabbing features makeschoosing between Studio Projects B1 Vocal Condenser Microphone over MXL-990 Condenser Microphone with Shockmount or vice versa still a seemingly daunting task. Featuring a high-pass filter and a -10/-20 db gain attenuation pad the Studio Projects B1 can be set to 75 or 150 Hz.It must also be stressed that it delivers the finest quality of vocal and instrumentation recordings. But take a look at its weird shock mount. It is fastened by ordinary rubber bands. It would be interesting to know how they will be durable in the long run. 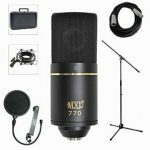 MXL-990 Condenser microphone requires phantom power. Before venturing out to the shop to buy itensure that your interface is compatible with it. One thing that is overlooked by people is its flimsiness because of its shiny surface. It can be easily slipped through the fingers causing irreparable damage. A sound advice is to use its padded case so that it is protected at all times. Perhaps it is best to leave the decision to the end consumer as tastes and preferences of each person differ. A good starting point is to have a list of what you are looking for in a microphone and tally the checklist one by one when you carefully analyze each one of them at the store. If that does not help, go with your guts. Click here to purchase Studio Projects B1 on Amazon! Click here to purchase MXL 990 on Amazon!